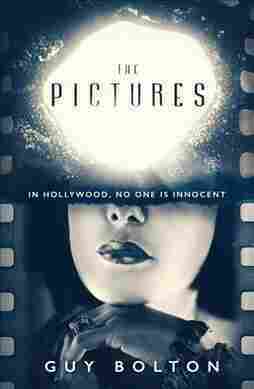 In 'The Pictures,' The Story Slips Out Of Focus With The Pictures, British author Guy Bolton kicks off a mystery series set in classic-era Hollywood. He's clearly done his research on 1930s America, but sometimes all that detail obscures the story. American authors Martha Grimes and Elizabeth George have made careers penning mysteries set across the pond; now English writer Guy Bolton is attempting to build a career of his own with a series set in Hollywood's golden age. The Pictures, his first novel featuring LAPD detective Jonathan Craine, takes place in 1939 — just as MGM is getting ready to release The Wonderful Wizard of Oz. Like his American colleagues, Bolton has done a tremendous amount of research on everything from the Great Depression to what a mogul's mansion might have looked like, all in service to a classic hard-boiled tale about two connected murders. When an ingenue named Florence Lloyd is found dead, gruesomely tortured, Craine suspects her demise may have something to do with that of MGM star producer Herbert Stanley. But when Stanley is found to have hanged himself, Craine gets fed the studio's party: The producer committed suicide because he was a depressed homosexual. It's not the first party line Craine has been forced to swallow, unfortunately. "Craine had been tasked by City Hall to clear all indictments against studio employees by any means possible. He was, in essence, the studio 'fixer,' the man who made criminal charges disappear." Even though his wife Celia — herself a rising MGM star — has recently died from an overdose, Craine remains loyal to his beat, covering up clues, motives, and whereabouts that might help his fellow lawmen make arrests. So far, so good. Craine is "at once both appealing and unremarkable. Standing a little under six feet, Craine was fairly tall and reasonably broad but not quite either. He remained to most people who met him quiet, measured and reserved, a harmless nobody." A lot can be done with an ambiguous character like that, someone who can be different things to different people – and for a while, it seems like The Pictures may focus on Craine, his deeply traumatized young son Michael, and his nascent relationship with Stanley's widow Gale Goodwin, also an MGM star. Get the picture(s)? By the time you reach the denouement, you'll scarce be able to remember who is whom, let alone why each of them matters. Part of that may be due to the aforementioned research, which is sometimes sloppy and repetitive (how many times can we hear about "mash potatoes" before saying "We get it! We get it! Back in the 1930s, they didn't say 'mashed!'"). Gale Goodwin is supposedly staying at her friend Joan Crawford's house, but there doesn't seem to be any reason for this arrangement except to mention Crawford's name. Since part of Bolton's purpose seems to be shining a spotlight on aspects of Hollywood that were (and still are) superficial, it's a shame that his crowded plot forces superficial coverage of some truly intriguing developments, including a secondary character who might, in future Craine novels, have become a terrific foil to the brooding protagonist. Since part of Bolton's purpose seems to be shining a spotlight on aspects of Hollywood that were (and still are) superficial, it's a shame that his crowded plot forces superficial coverage of some truly intriguing developments. There will be future Craine novels, because in spite of these cavils, Guy Bolton manages to create real atmosphere in The Pictures. Kudos to him for that atmosphere — which isn't restricted to just the MGM lot and the glamorous Lilac Club downtown, but also includes several disparate Los Angeles neighborhoods where interesting crimes might take place. And he does, after all, develop one character: Our Hero. Craine may start out as a studio shill, but it's no spoiler to say that as he uncovers some very rotten facts, he begins to change. Perhaps as Bolton gets further into his series, he'll see that there's no need to gild the lily: When you have an enigmatic and compelling main character, you can allow that character to guide the story, instead of forcing all sorts of outside arrangements in order to create drama. In fact, Bolton might want to take a look at another non-American's take on noir by studying the novels of Benjamin Black. If Bolton manages to combine his natural talent for place with Black's guidance on character, mystery lovers will have a great deal to anticipate.